I'll be honest, I was first attracted to this by pure cover love. It showed up in my blog feed and I clicked and read a positive review of it - I can't remember on whose blog, unfortunately :( Anyhow, a heroine with great music taste and fashion sense is always a win in my book. 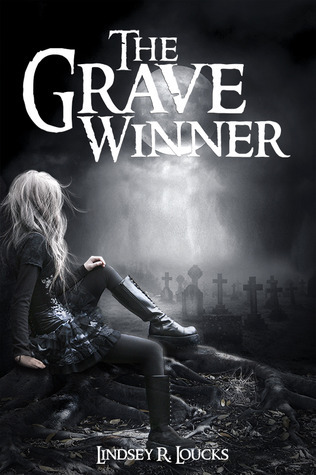 Plus the cemeteries, undead prom queens, and mysterious graveyard-caretakers? Count me in! Should be a dark, creepy, and hopefully also fun read! What do you think of my pick? And what book are you excited about this Wednesday? Ohhh yes this sounds good and that cover is so pretty! "Hot and mysterious caretaker"...whaaat?!? I'm in. Also because of that cover. :) And it sounds soooo different. Love that. Great pick, Carmen! Sounds good! People coming back from the dead and no giving gifts to the dead?! New to me but the cover is awesome. Thanks for stopping by! Whoa, this is definitely going on my tbr list!! Such an interesting and new story concept--and that cover is just gorgeous!! It does look like an interesting book, definitely something in my genre!! Nice choice, and it's nearly here!! Yeah this sounds brilliant - dark but like it could be a total blast too :D Thanks for bringing it to my attention hun! !